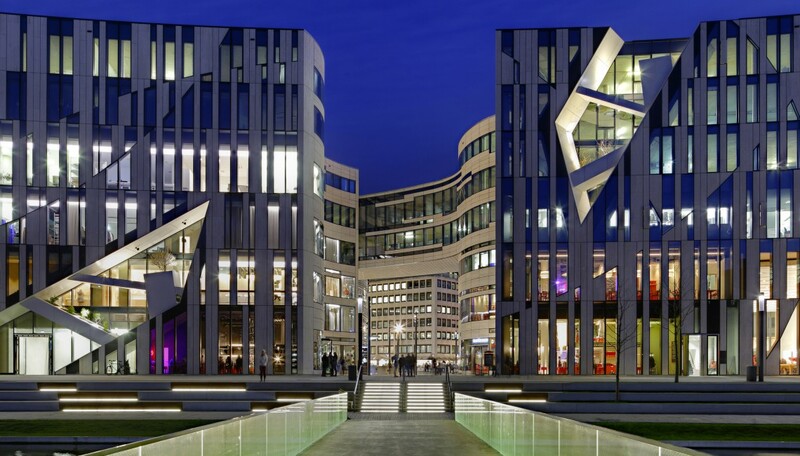 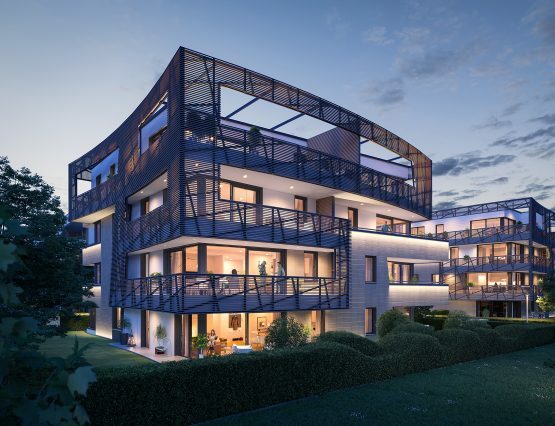 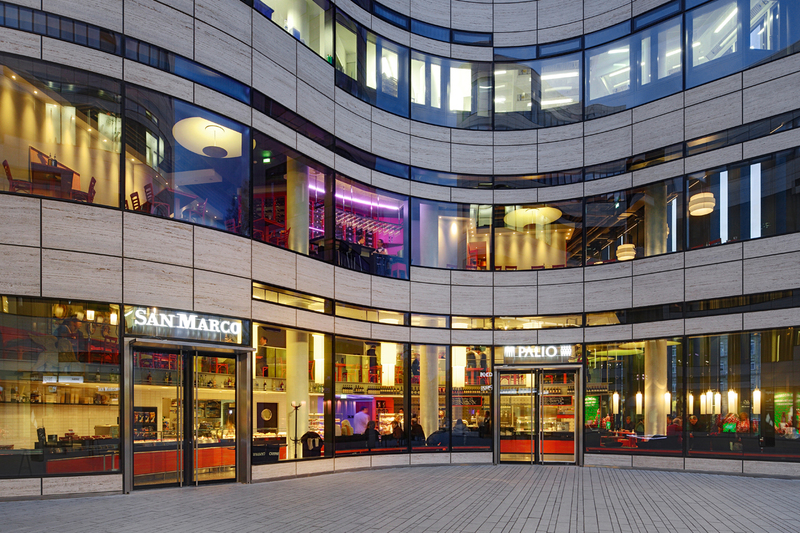 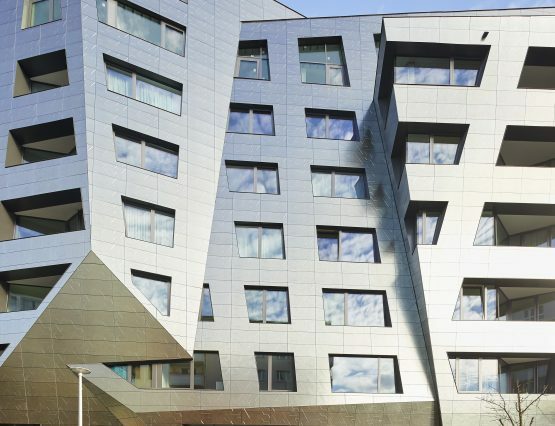 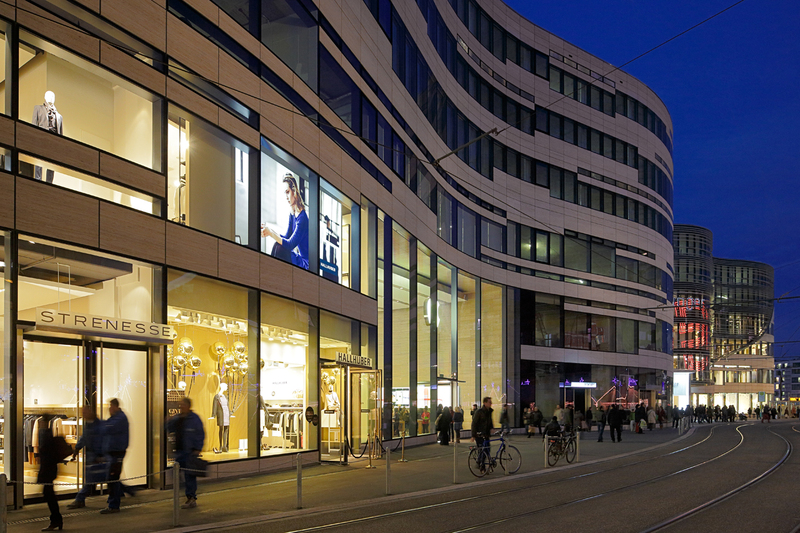 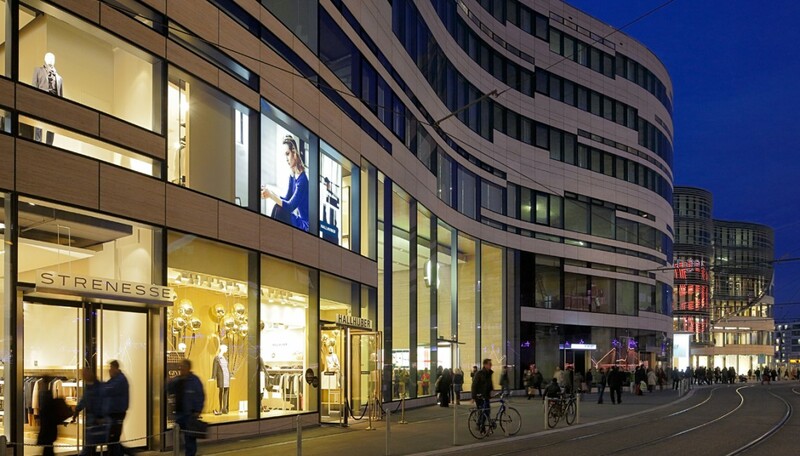 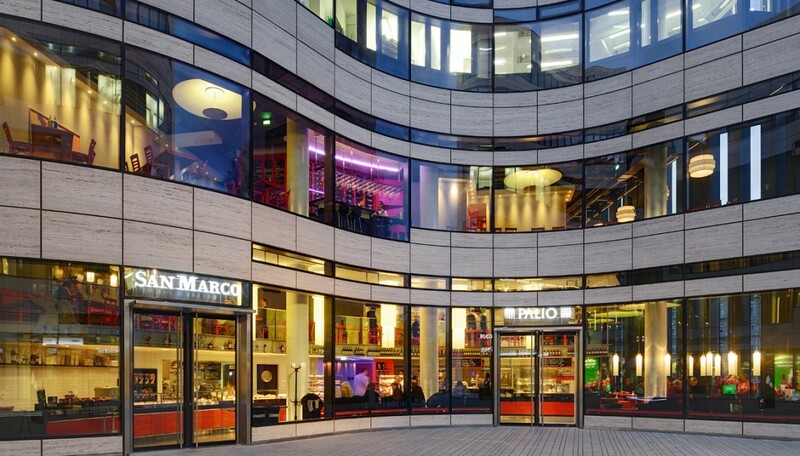 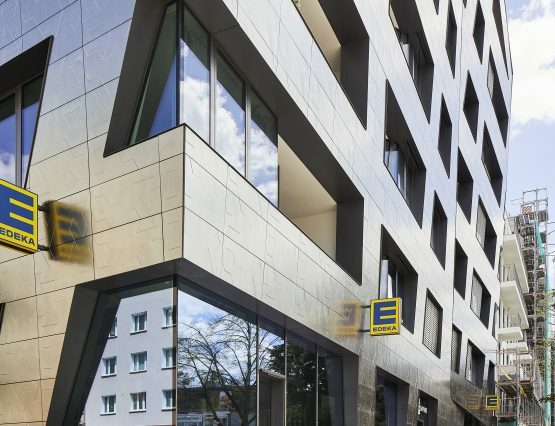 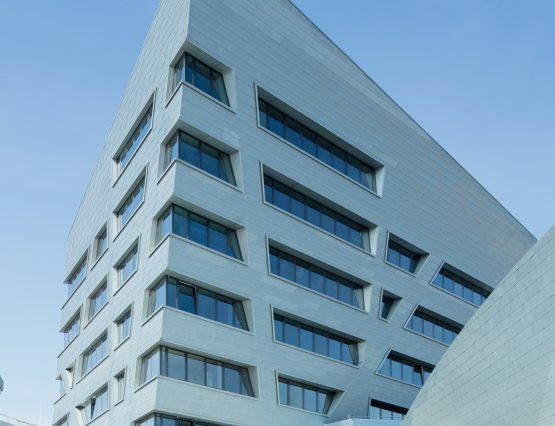 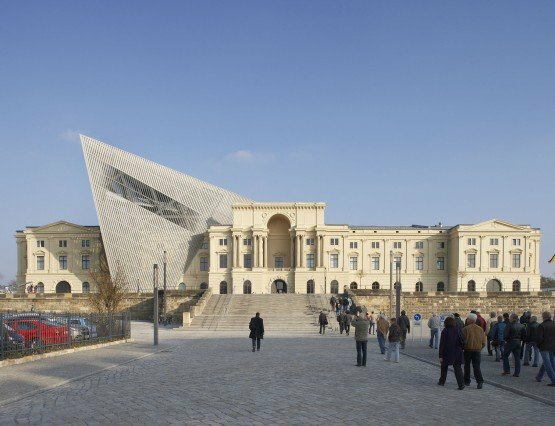 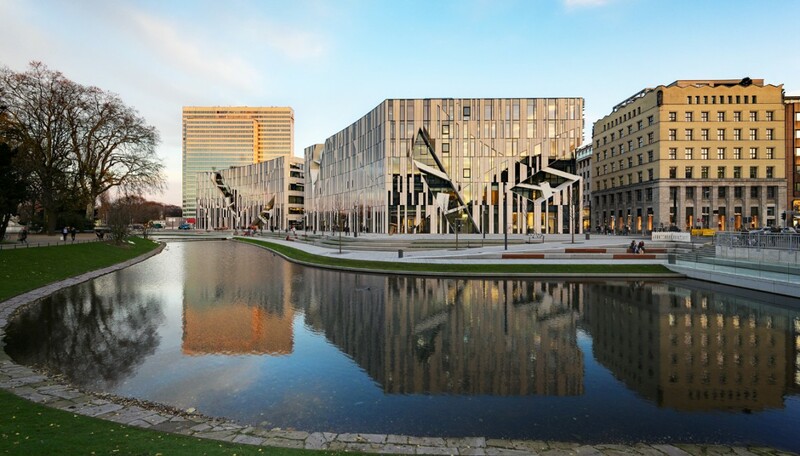 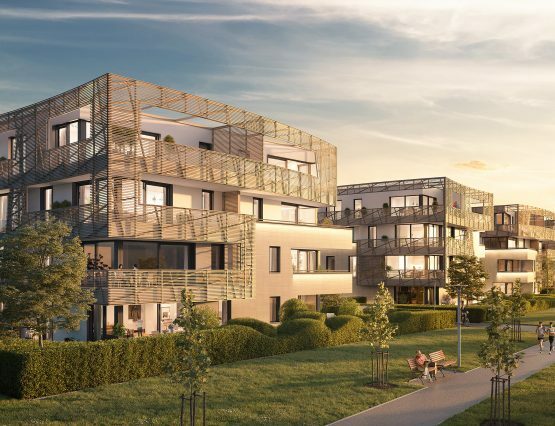 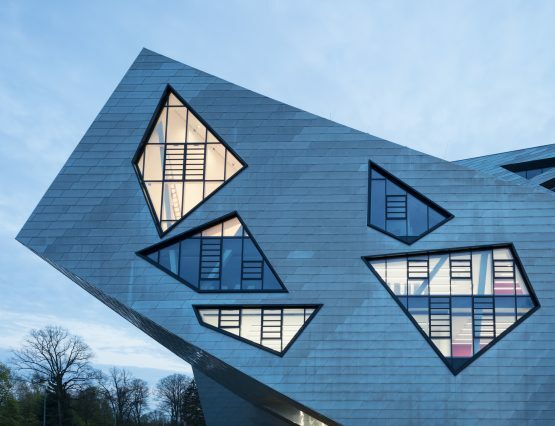 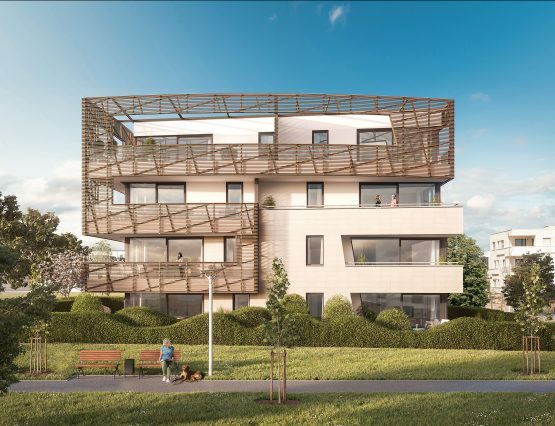 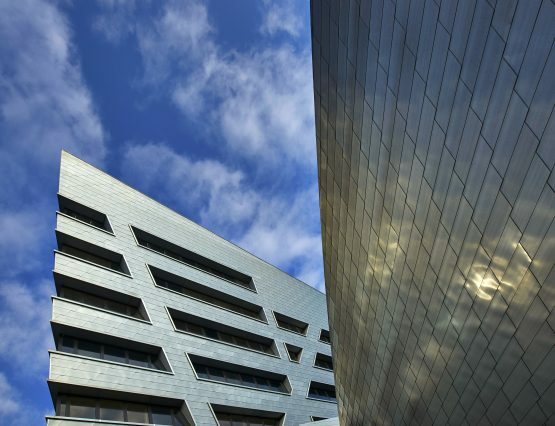 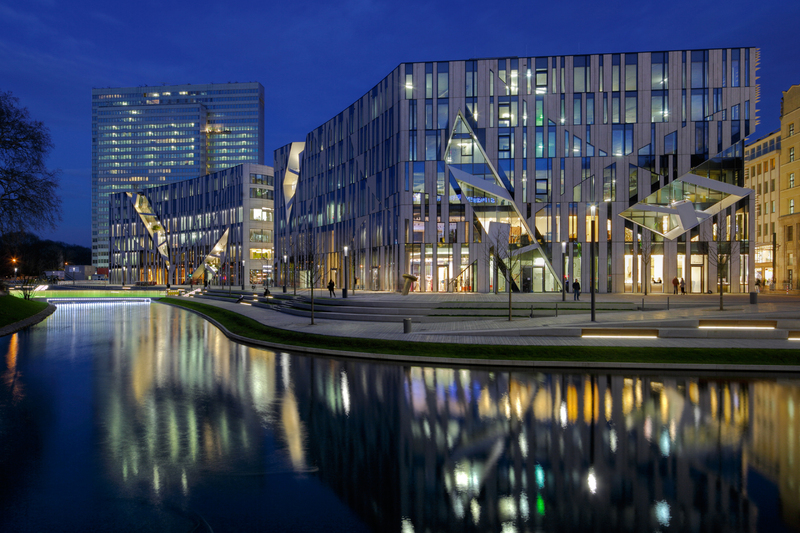 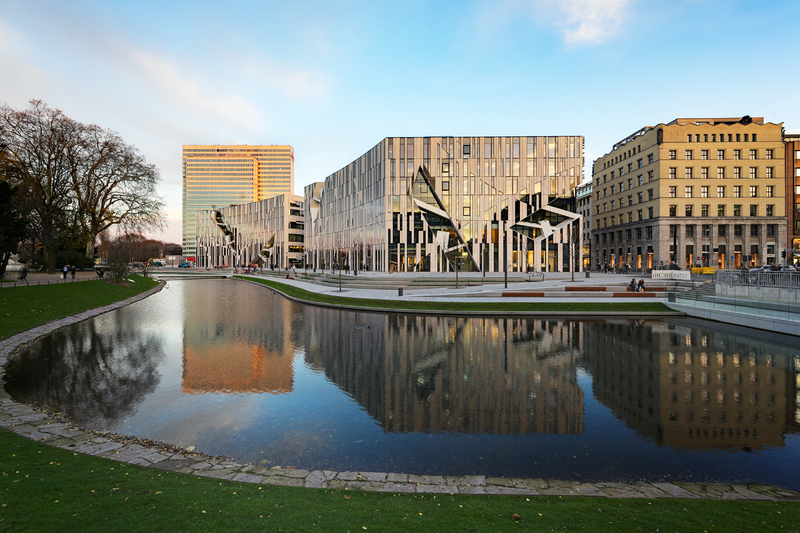 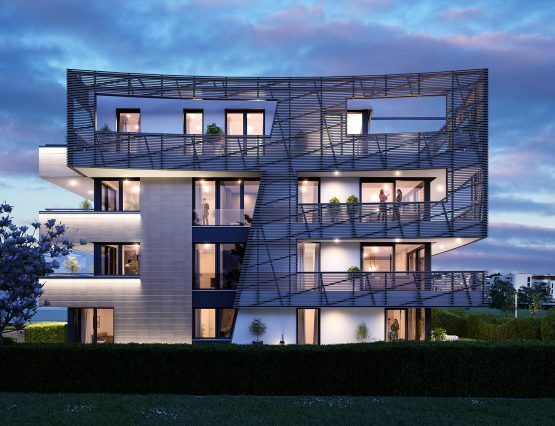 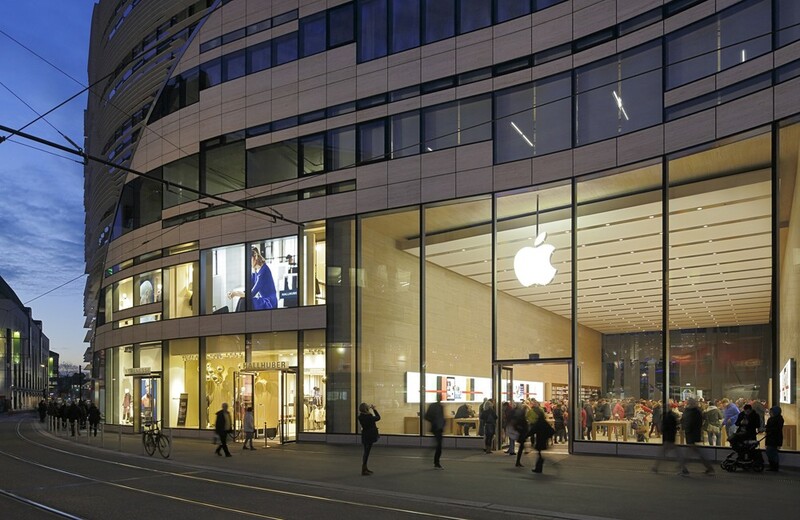 By artfully connecting the city’s central park and historic commercial center—and by expanding public space and inserting landscape elements—Studio Libeskind produced a mixed-use commercial complex that is a dynamic new attraction in the heart of Düsseldorf, Germany. 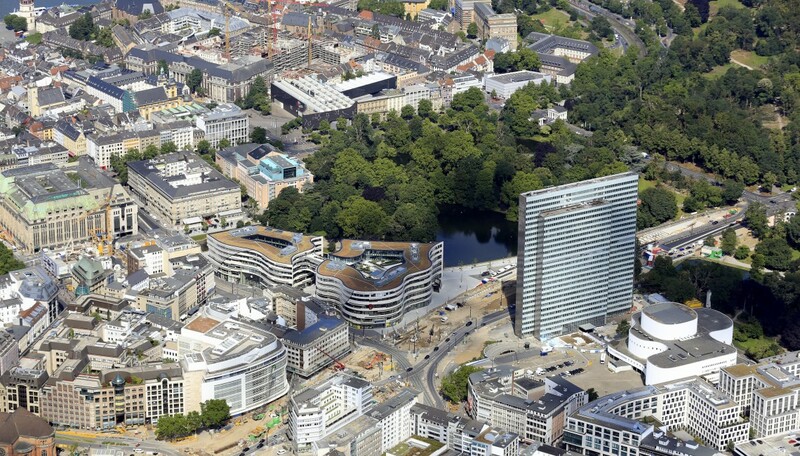 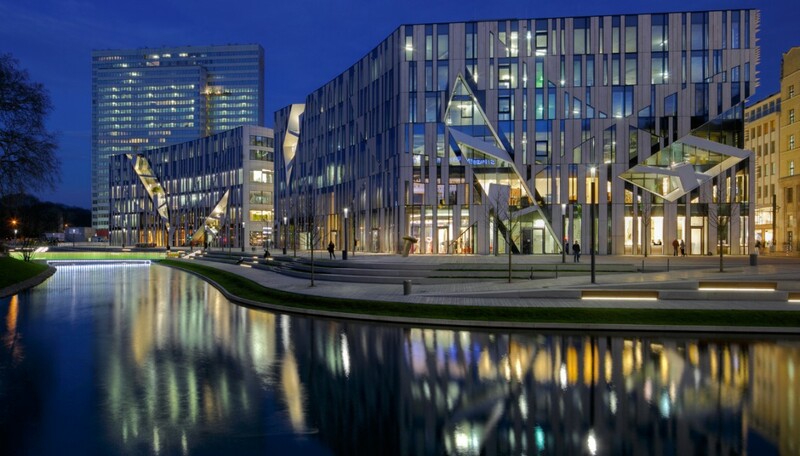 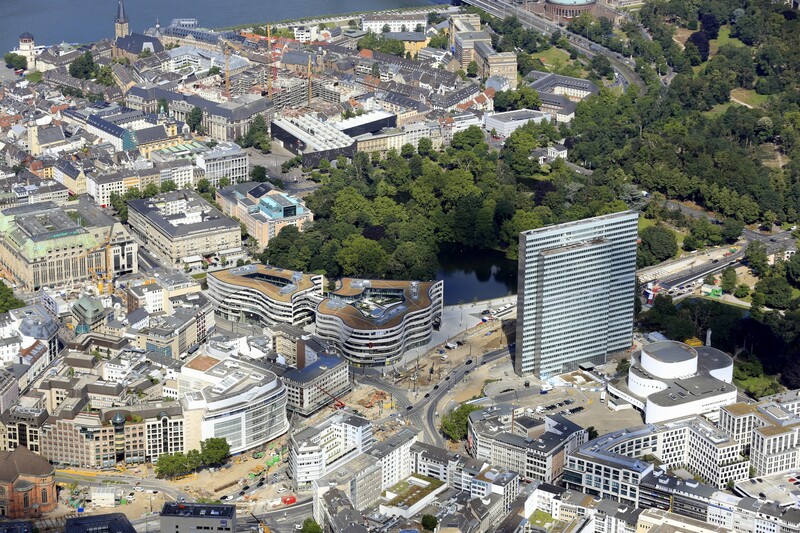 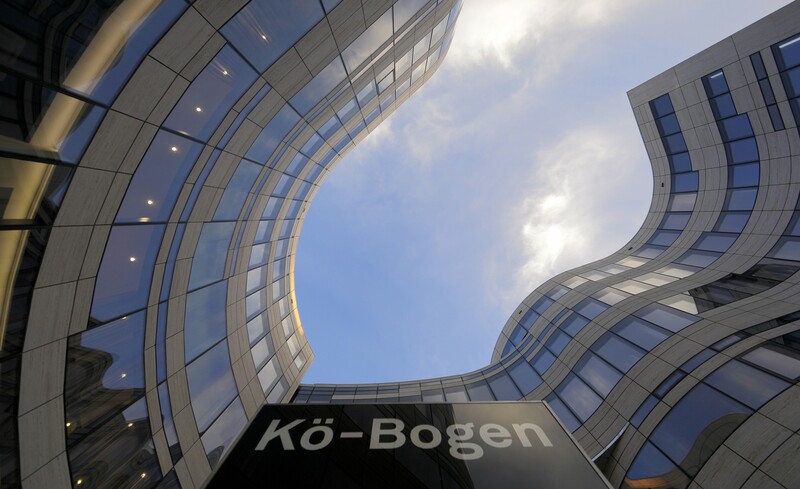 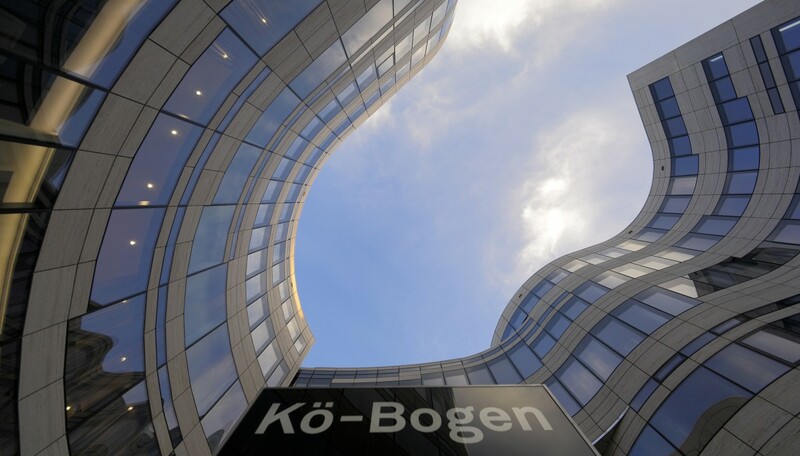 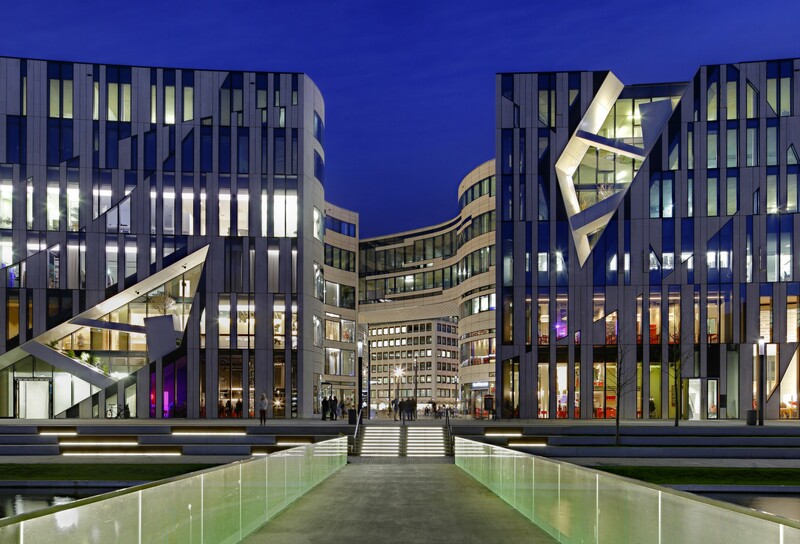 Kö-Bogen, or the `King’s Bow,’ is a large-scale office and retail complex whose sinuous form hugs the point where the Königsallee Boulevard, Düsseldorf’s primary avenue, converges with the newly created Hofgarten promenade. 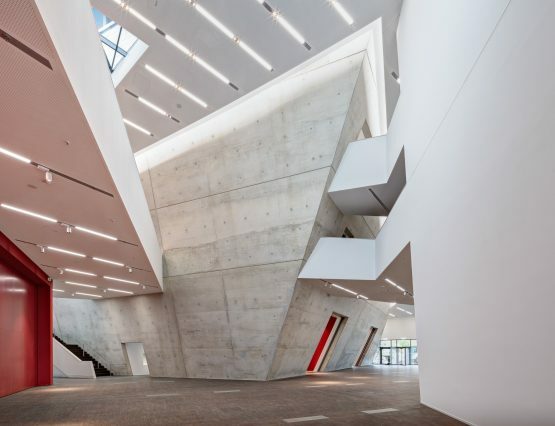 The complex sits on two plots, comprised of two structures—one to the east, the other to the west—separated on the ground by a central pedestrian passageway and joined above by a two-story bridge. 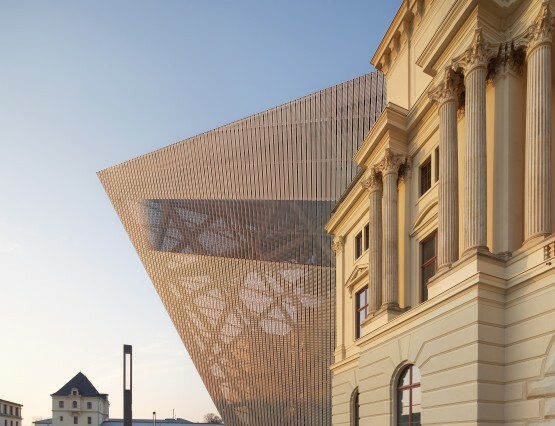 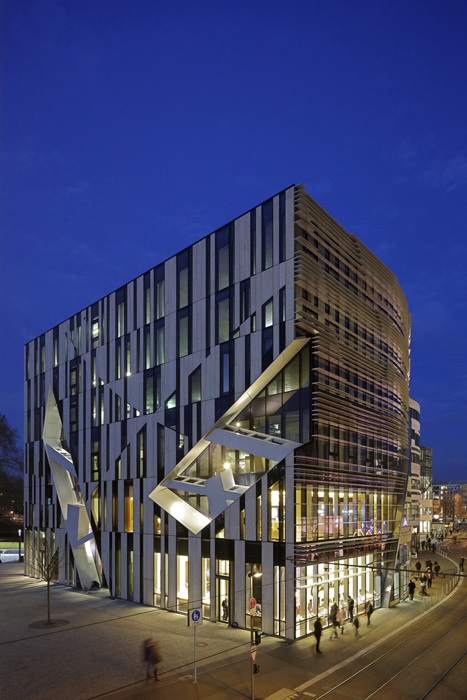 The façade is intricately patterned: horizontal from some vantage points, vertical from others, and conceived so that the arrangement of stone and glass panels and aluminum louvers express a homogenous reading. 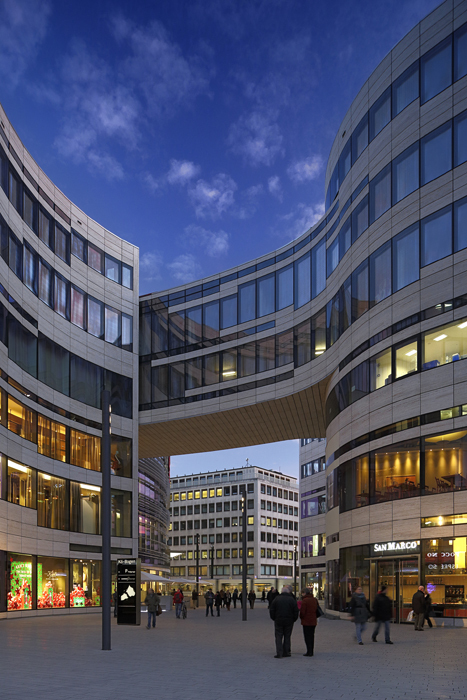 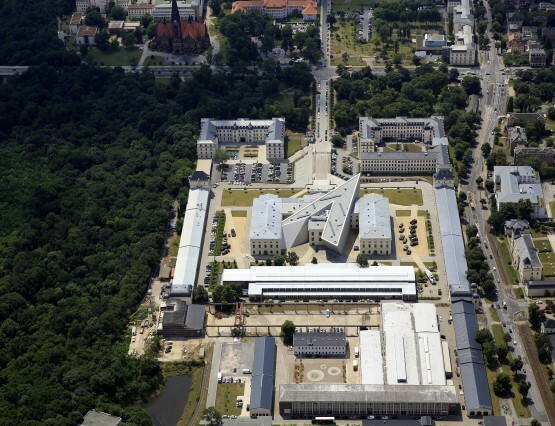 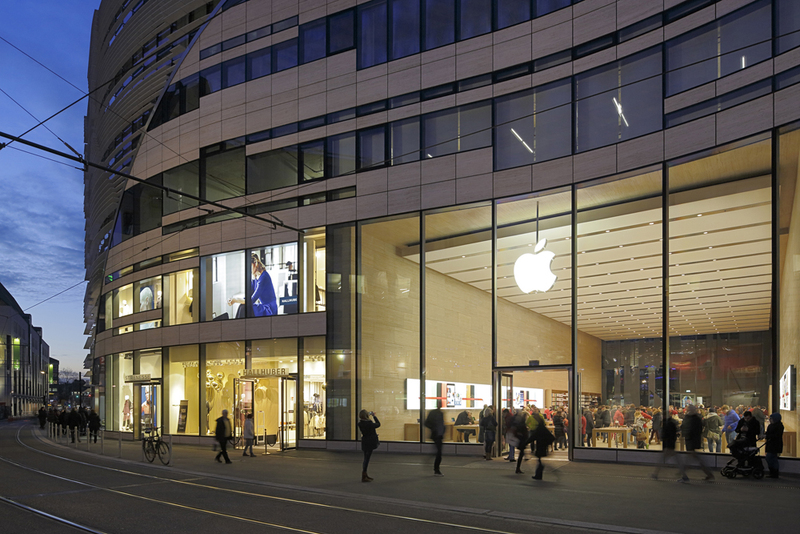 The central public passageway serves as a new pedestrian path connecting the commercial area of Schadowstrasse with the Hofgarten.